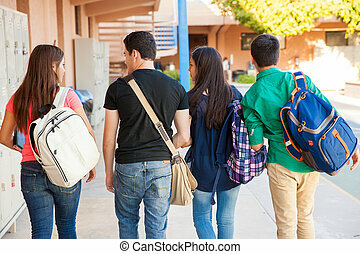 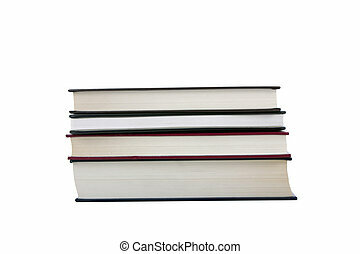 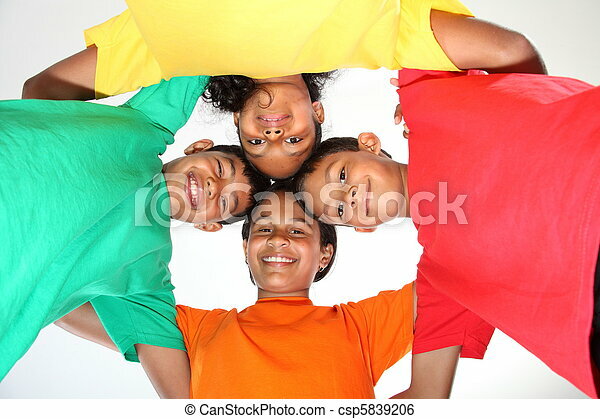 Four school mates in a huddle. 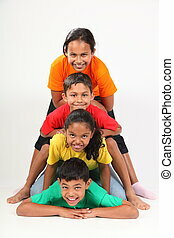 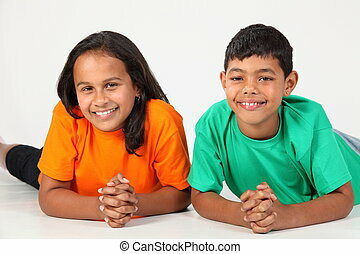 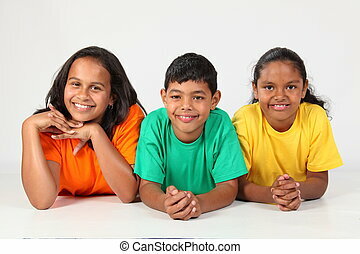 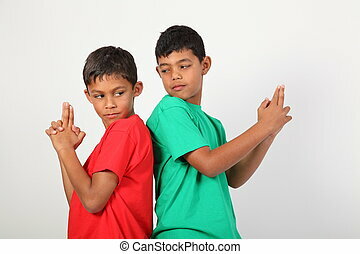 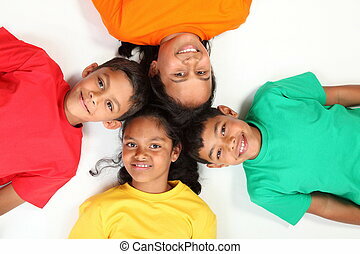 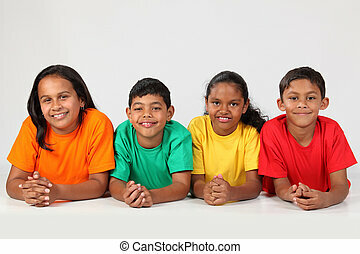 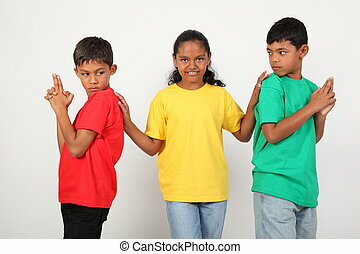 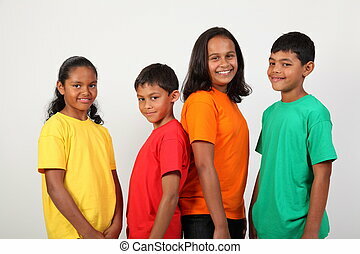 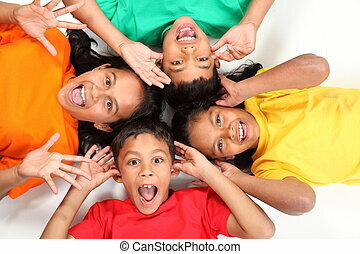 Four school friends with heads together in a huddle wearing colourful t-shirts. 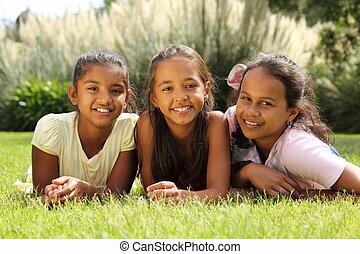 Three young girls enjoying a day out in the sunshine. 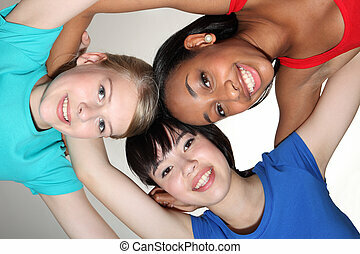 Slumber party bedtime for three happy beautiful teenage girl friends, a mixed race african american, oriental Japanese and blonde caucasian school mates. 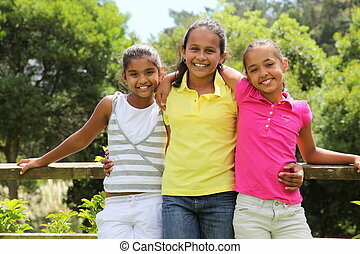 Falling asleep at slumber party for three tired beautiful teenage girl friends, a mixed race african american, oriental Japanese and blonde caucasian school mates. 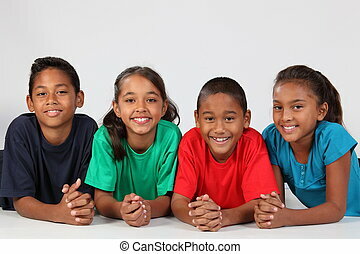 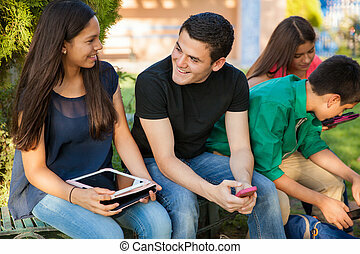 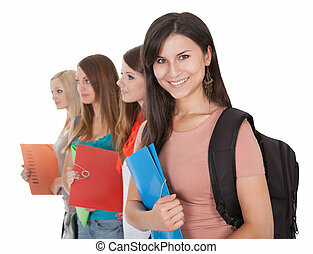 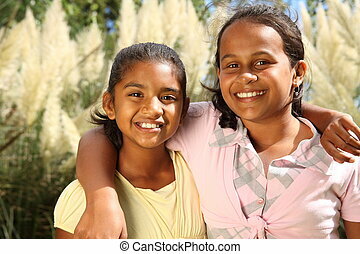 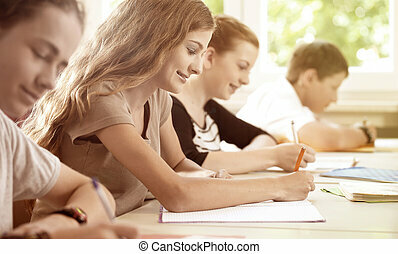 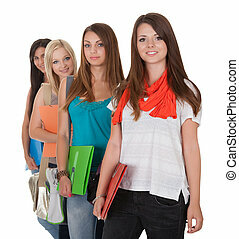 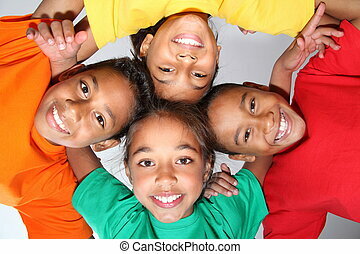 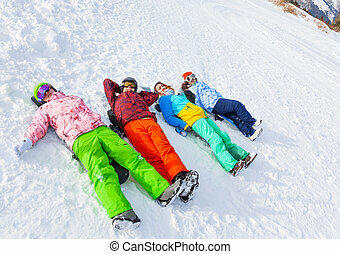 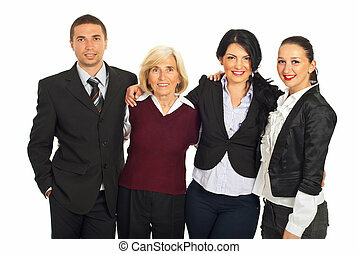 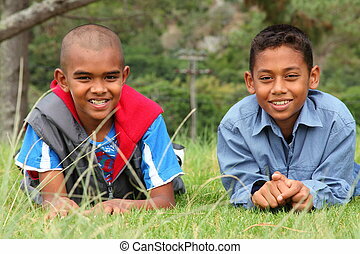 Big smiles in fun team group huddle by mixed race african american, oriental Japanese and blonde caucasian teenage school student girl friends looking down to camera. 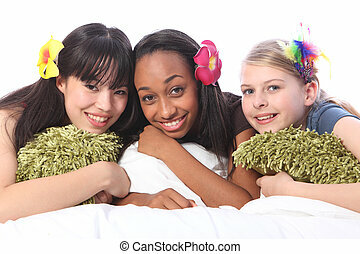 Slumber party for three teenage girl friends, a mixed race african american, oriental Japanese and blonde caucasian school mates all wearing flower or feather hair accessories. 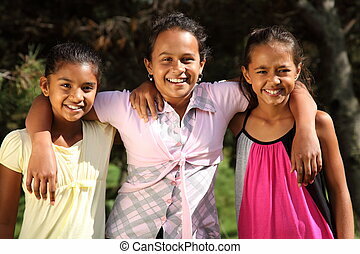 Sleepover party bedtime fun for three happy beautiful teenage girl friends, a mixed race african american, oriental Japanese and blonde caucasian school mates laughing under bed covers.